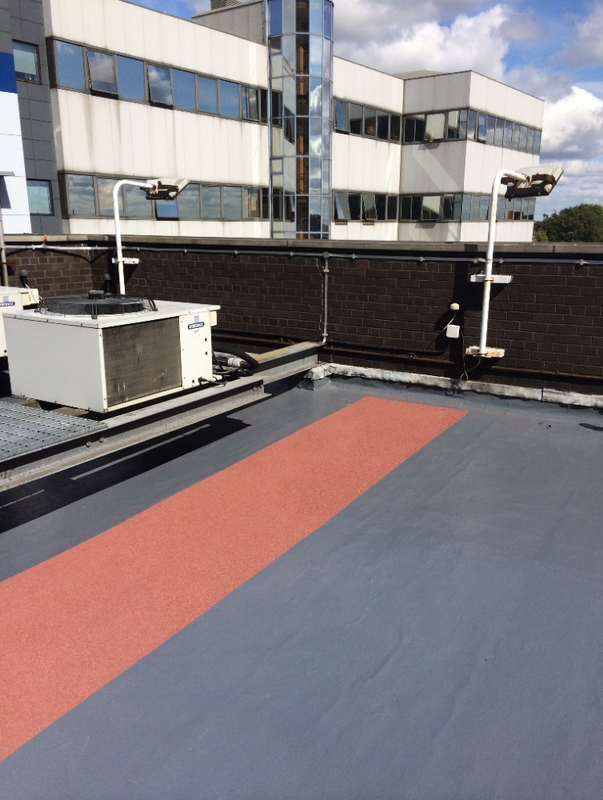 As one of Sika’s Premier Quality Assured Contractor’s Surface Protection Coatings Ltd specialise in the application of Sika Low Odour Decothane Ultra System. 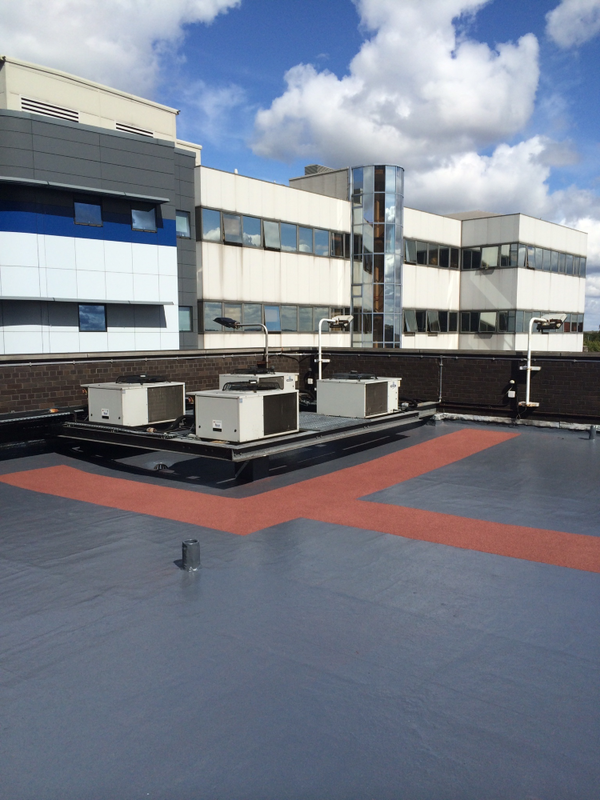 The product was developed specifically for use in highly sensitive areas such as hospitals. 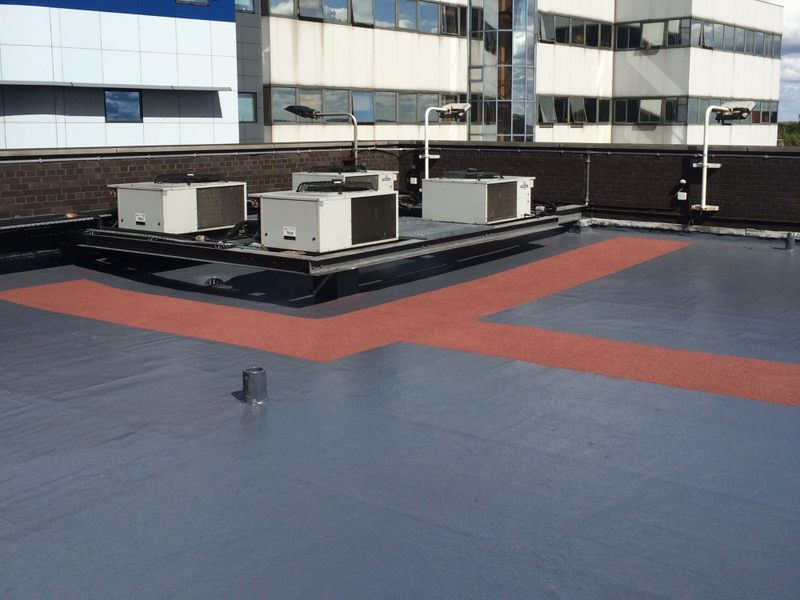 This project consisted of a 15 year Decothane Ultra System laid straight over an existing asphalt roof incorporating a visual non-slip walkway.